A simple physics-based 2.5D puzzle game with 8 levels made for Ludum Dare 37. 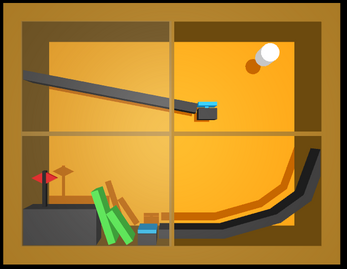 Each level is divided up into "rooms". Only one these is active at a time, selected by clicking on the room. 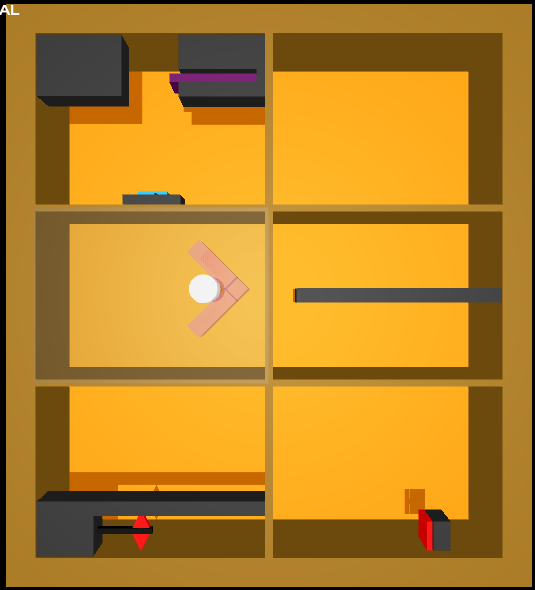 Select rooms in the right order and move purple pieces around in order to navigate the white cylinder towards the flag. I hope you enjoy playing it! Requires an application to open rar files e.g. WinRAR. Extract the rar wherever you like, then open "locality.exe". Uses Unity3D. Source is included in download.